Cheerful and colorful spring is back, and so is the spring fashion. 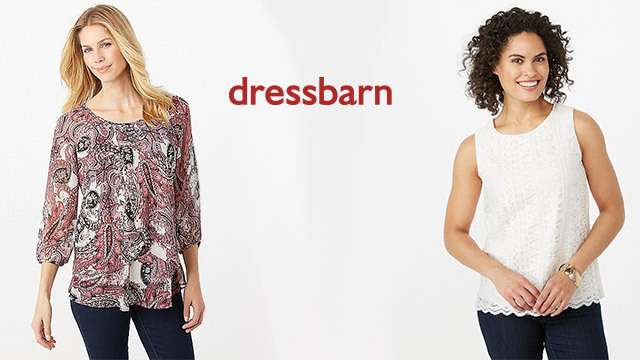 Here are some spring essentials from Dressbarn. Get spring ready. This wild print duster is amazingly accommodating with its soft silhouette. Pants or dress, it’ll look perfect with almost everything. An absolute office essential! 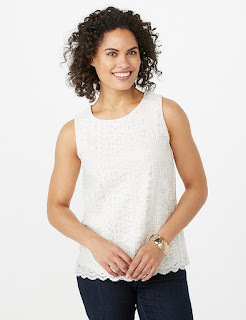 Wear it with a shirt or a trim top. 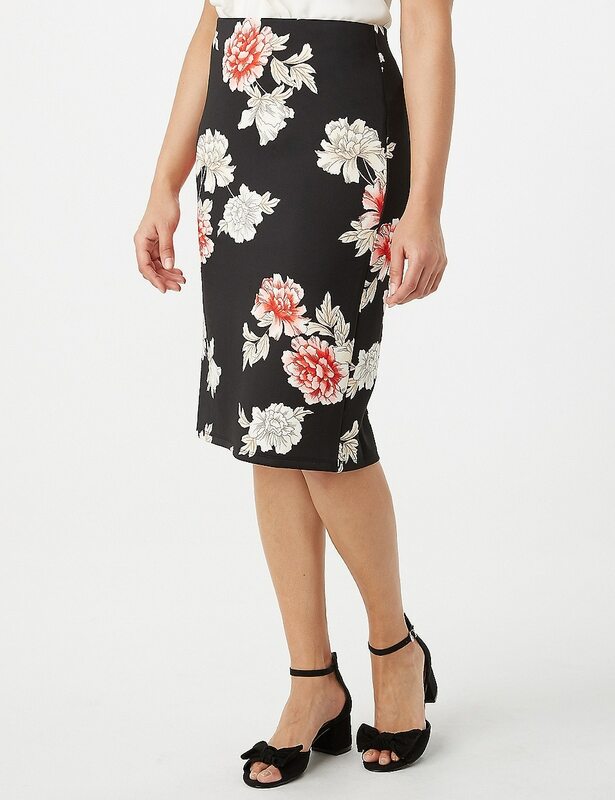 Pretty floral print adds a flirty touch to the classic pencil skirt. You will love the comfortable fit. Chic and sophisticated, this ankle pant is perfect for all occasions, formal or casual. Experiment with prints and contrasts on top. Trendy and easy. 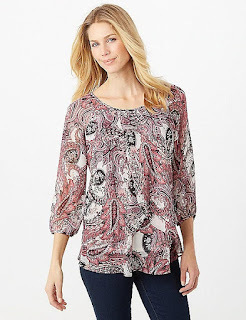 Pair it with solid colored bottom, skirt or pant. Wear with jeans for a chic casual look. 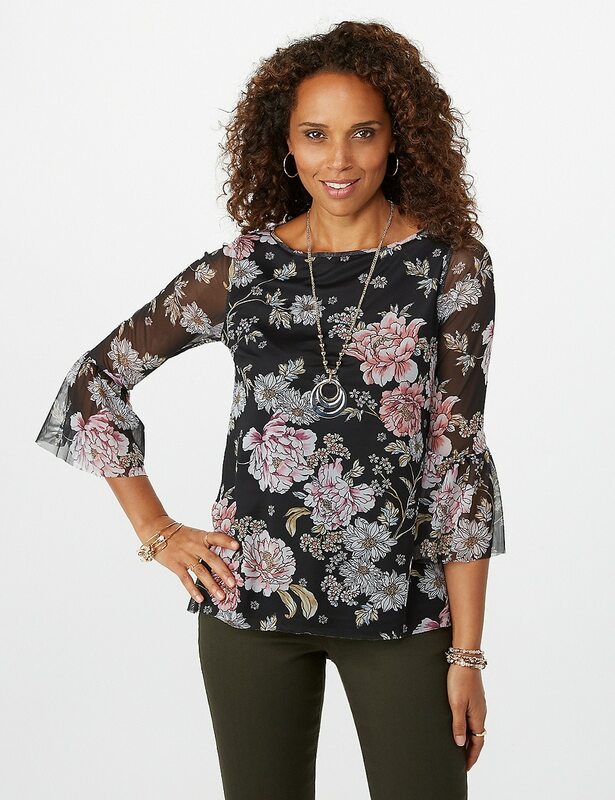 Florals are an absolute must for spring collection. 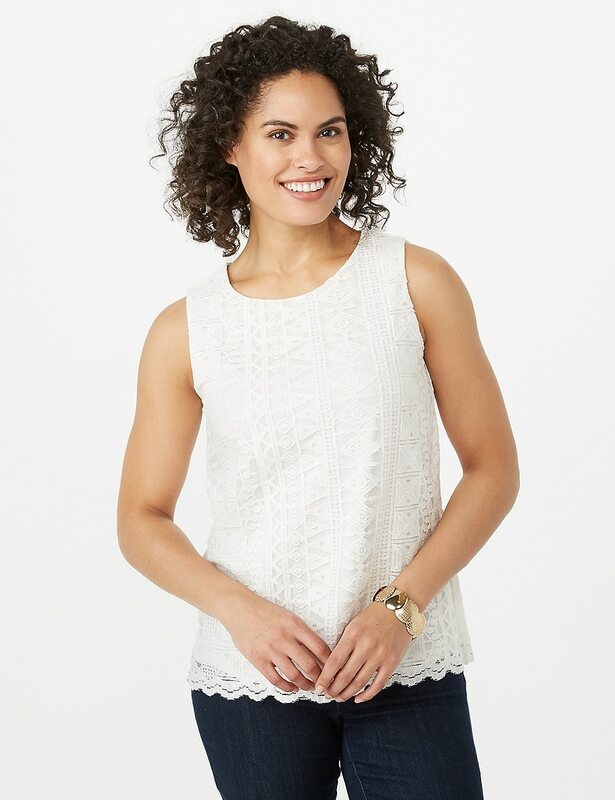 Pick this interesting mesh top for springy-fashion. Cozy and comfortable. Your dose of instant fashion. 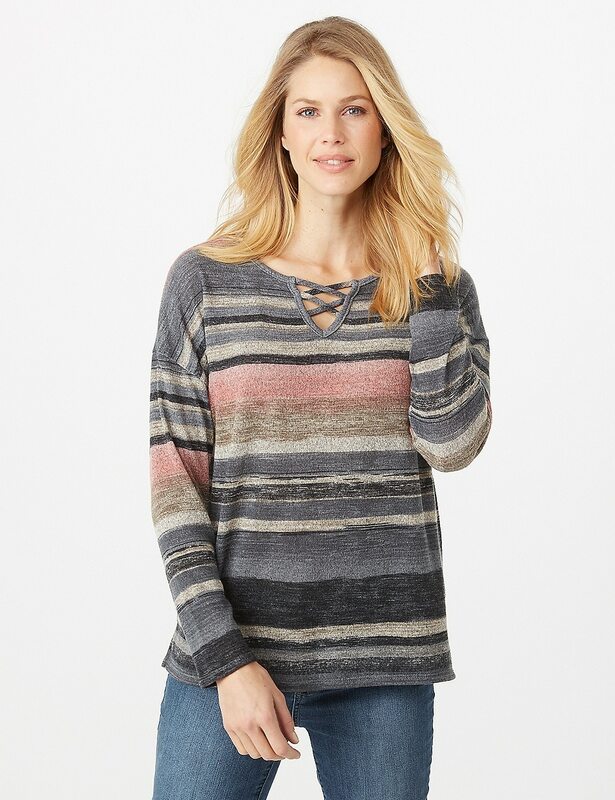 Pastel colored stripes add a zing to this trendy top. Get the trendy weekend look with this tiered top. An interesting detail to the classic black pencil skirt. 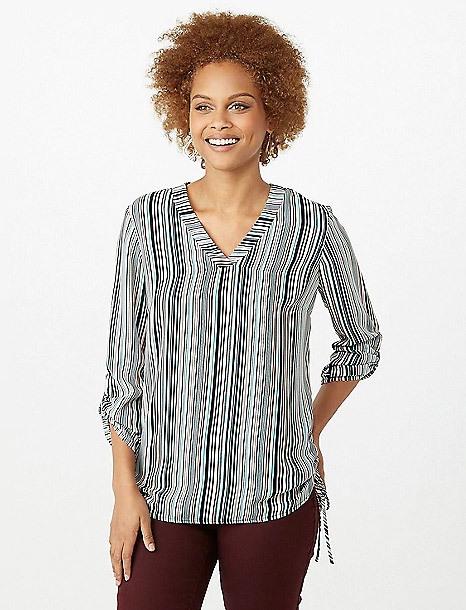 The stripes make it look trendy and stylish. Perfect for breezy spring evenings. Add style and comfort to almost any outfit. 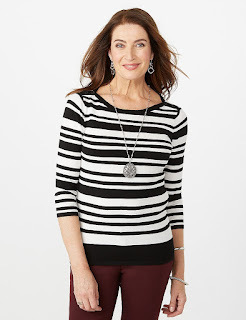 Stripes never go out of style. 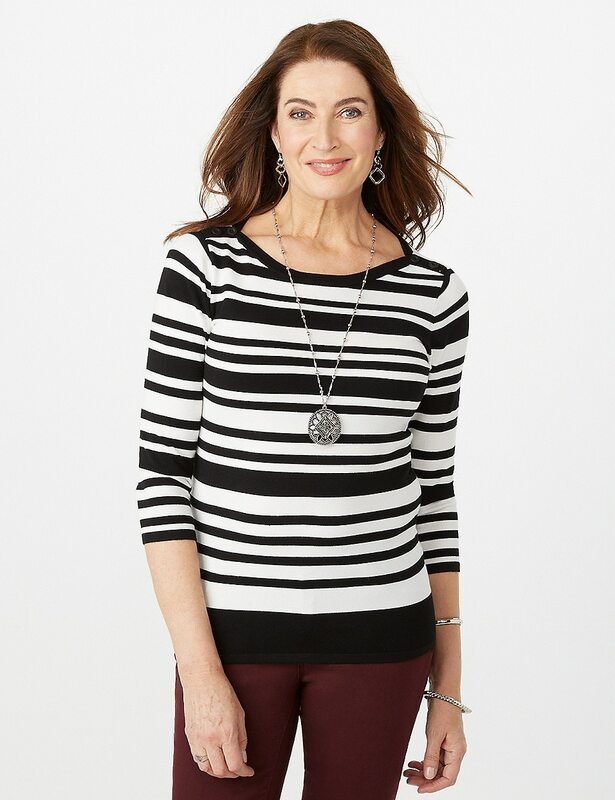 This chic sweater is perfect, both for casual or office wear. 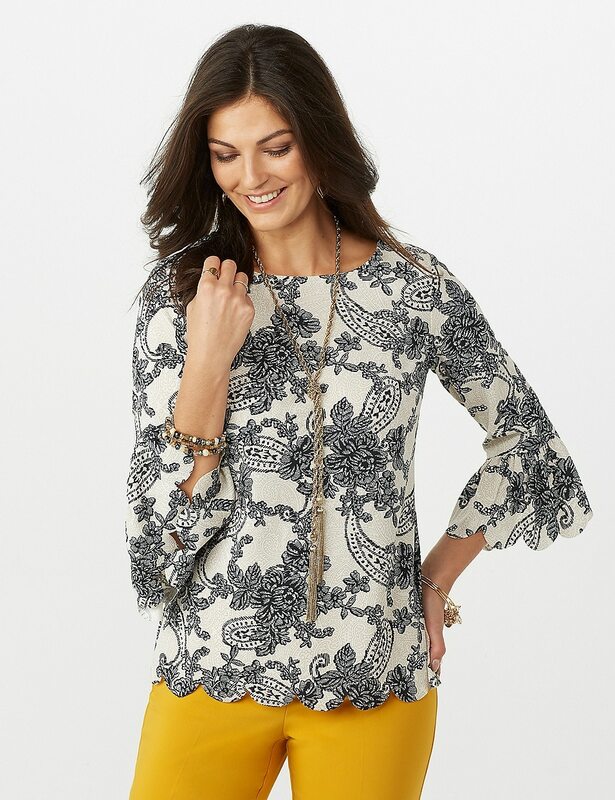 A great option for day-time wear. 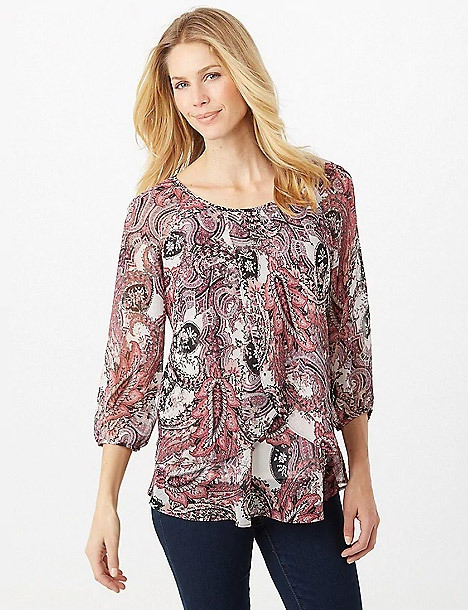 Pair it with a skirt or jeans, it’ll look perfect.